Most people don’t want to make a fuss about a birthday that ends in zero, unless you are ten! This year both the Dude and I have celebrated our “big” birthday’s for a whole 12 months after coming up with the Forty Things at 40 list. We decided we would split the list in half otherwise having forty things each would leave little room for doing anything else (you know, like work and all the life stuff). So twenty things each. It started with a small list of places, restaurants, activities or events that we definitely wanted to do, leaving plenty of room for anything else that we might hear of or opportunities that may come our way. Some of it was of epic proportions and some were low key, but all of it would be making our fortieth year very special. I won’t lie to you, I originally wrote 849 words of utter drivel before deciding that a post of mostly photos would work much better than writing about stuff I have already posted. So here goes…. 1. We went to Celtic Connections over in Glasgow. A brilliant evening of live music. 2. 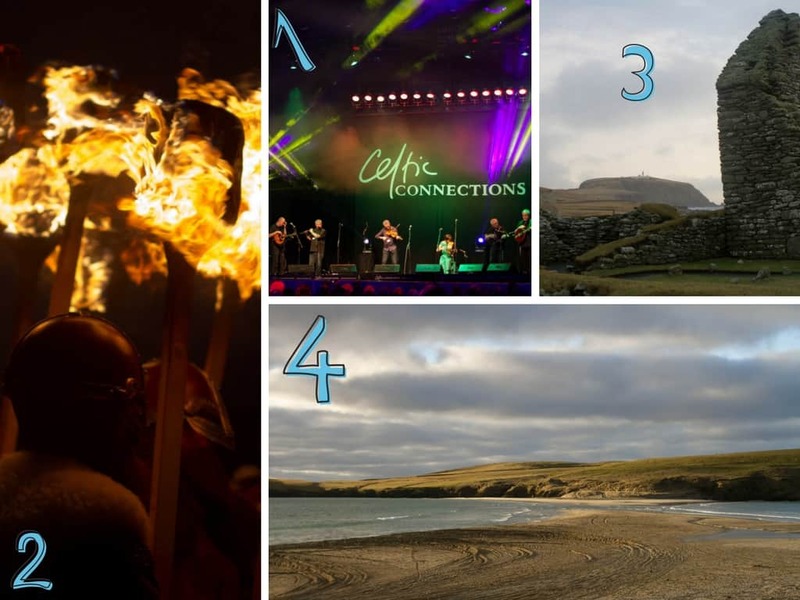 A trip to Shetland and the annual event of Up Helly Aa in Lerwick. An incredible experience but sadly not one shared with the Dude. A good excuse to go back I reckon! 3. During my trip to Shetland we visited Jarlshof, a prehistoric and norse settlement. One of the most incredible things I have ever seen & in such a spectacular setting too, it had to make the list. 4. I know, I know, Shetland again. But this time just ticking off that I had visited Shetland in it’s own right. 5. My birthday month and a secret road trip which ended with a visit to Glen Etive. A place long on my list even before a certain James Bond film made it famous. 6. We were invited to stay at Cameron Club Lodges and that was an fabulous experience. The Dude played on The Carrick golf course & we made the most of the spa too. 7. 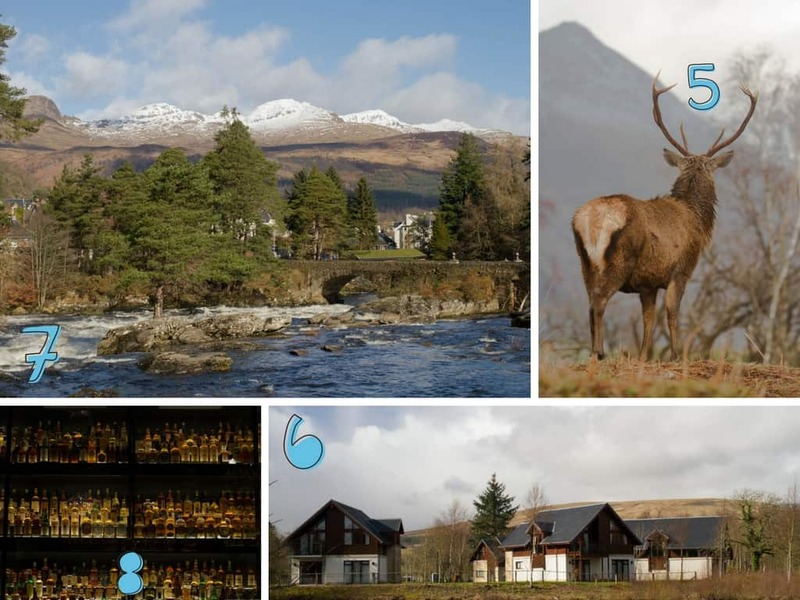 I had seen lots of photos of the falls of Dochart at Killin and so when we were invited to stay at Morenish Mews just down the road it was a perfect opportunity to visit them. Stunning eh? 8. The Whisky Experience, the Dude had been itching to do this each time we had visited Edinburgh. When we eventually got around to doing it he loved it. So did I and I don’t even drink whisky. 9. 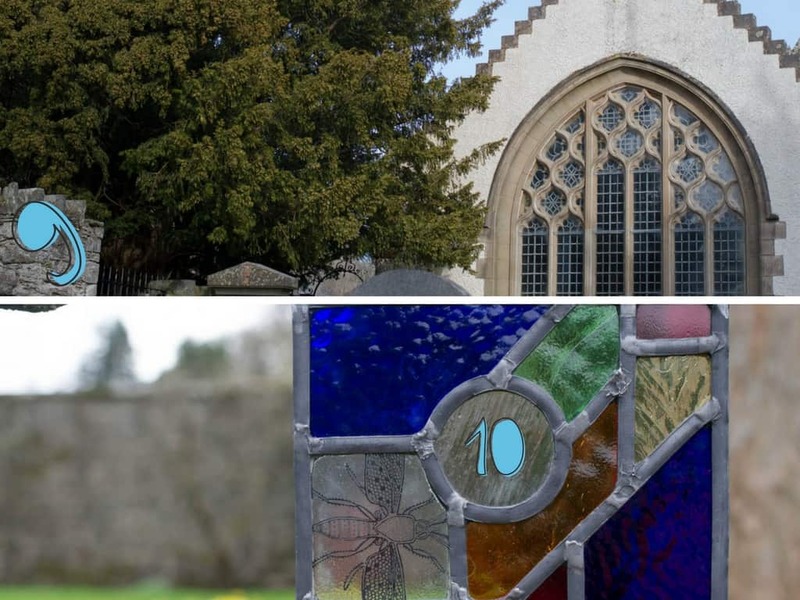 On one of our road trips we decided to go and find the Fortingall yew tree. Some say it’s 2000-3000 years old whilst others say it’s 5000-9000 years old. Either way, its impressive and old. 10. The Dude took some persuading when we were invited to learn how to make a (little) stained glass window with East Neuk Glass, but he loved it. A creative way to spend a weekend. 11. A long weekend in Aviemore full of birthday surprises for the Dude. His favourite was dining first class on the Strathspey Railway. What a treat it was too. What is it with boys and trains? 12. Another tick off the list for the same weekend and that was to go up CairnGorm mountain on the funicular railway. The view was very clear but it was FREEZING! 13. Yet another birthday surprise from me to the Dude was to have afternoon tea whilst cruising down the Union Canal in Edinburgh. Most civilised way to spend a few hours. 14. Doing his bit for charity & raising money for Chest, Heart & Stroke Scotland meant the Dude could abseil down the Forth Bridge. The iconic red rail bridge across the Forth. 15. 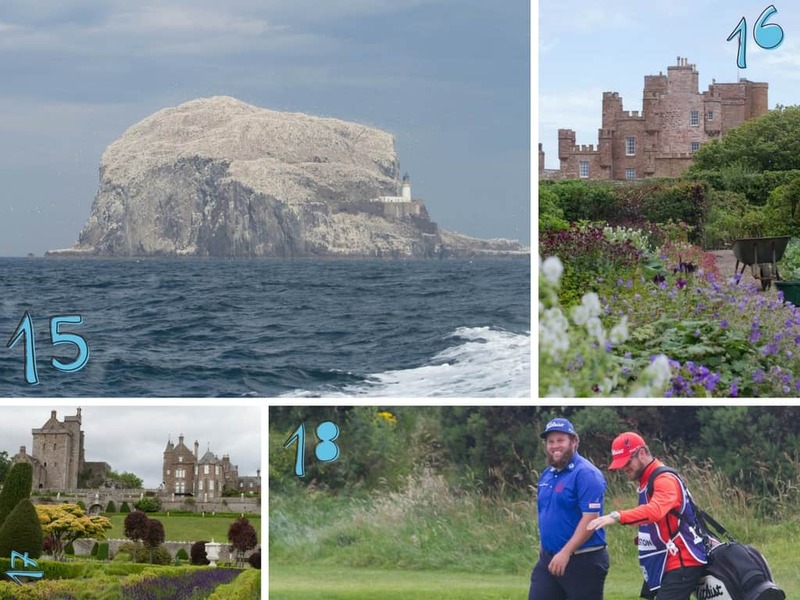 Our friends at the Scottish Seabird Centre invited us to take a boat trip out to Bass Rock. What an assault on the senses that was! Noise and the smell. Oh boy did it pong! But we loved it. 16. On one of my work trips I had the chance to go to Castle of Mey in Caithness. What a place that is. I got a private tour around with THE most enthusiastic guide, it was a privilege. 17. We discovered Drummond Castle & Gardens by pure accident and when we took the short drive from Perth discovered it’s a pure delight of manicured landscaped garden and woodlands. 18. This was a cracking day out. The Scottish Open over at Dundonald Links golf course. Ian Poulter, Rory McIlroy and Andrew “Beef” Johnston all playing right in front of us. 19. For YEARS we have watched the Edinburgh Military Tattoo on the telly. But this year we made it to the real thing. Incredible. Oh and the weather was kind to us too! 20. Another work bonus for me was getting to experience the World Pipe Band Championships at Glasgow Green. I was there for 15 hours & it took days for my ears to recover but I loved it. 21. Instagram has a lot to answer for, fuelling so many of our road trips. This time Glen Esk, one of the Angus glens. Out all day and didn’t see another soul but we did see plenty of wildlife. 22. A first for the Dude, a trip to the scenic east coast of Scotland and a stop off at Dunnottar Castle. Definitely worth all the steps to get across and go in. It’s so much bigger than expected. 24. A much braver soul than I, the Dude took the opportunity to have a go at the Highland Fling bungee swing over the river Garry. He loved it! It turned my stomach just watching! 25. Advreck castle on loch Assynt has been swooned over many times when scrolling Instagram. 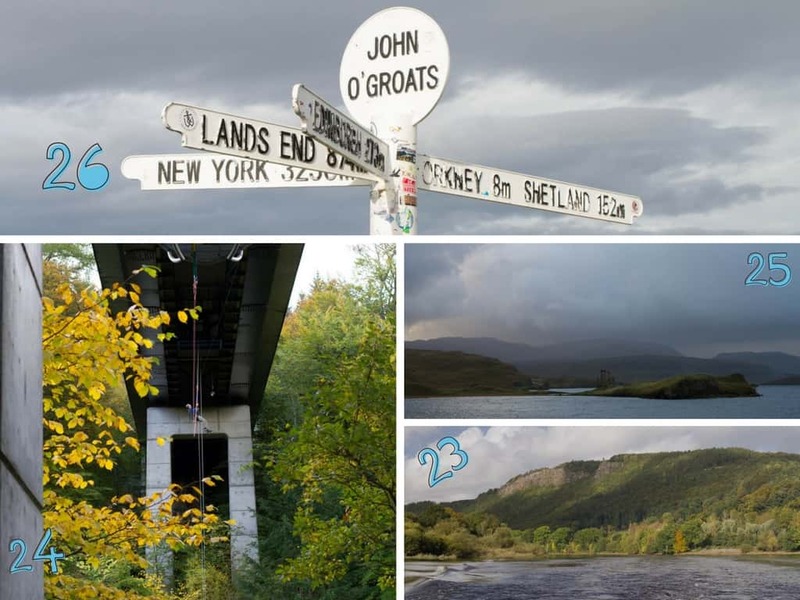 It didn’t disappoint when we stopped even though the Scottish weather was up to it’s usual tricks! 26. Last year I visited John O’ Groats a couple of times & so it was a first for the Dude & another tick off the list. We had a wander around the harbour and took the obligatory sign photo. 27. Another part of the North Coast 500 and the spectacular Duncansby stacks. We walked along the coastline and the wind was howling, but the sun was warm. A great day out. 28. Dunnet Head, the most northerly point of mainland UK. Wow the wind was wild! The Caithness coastline is not to be missed. 29. 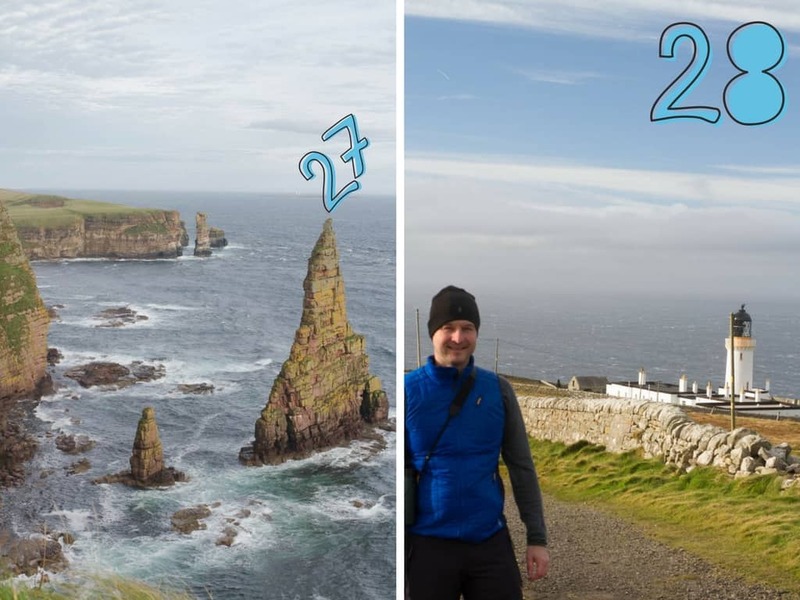 Our visit to Orkney was a first for the Dude. 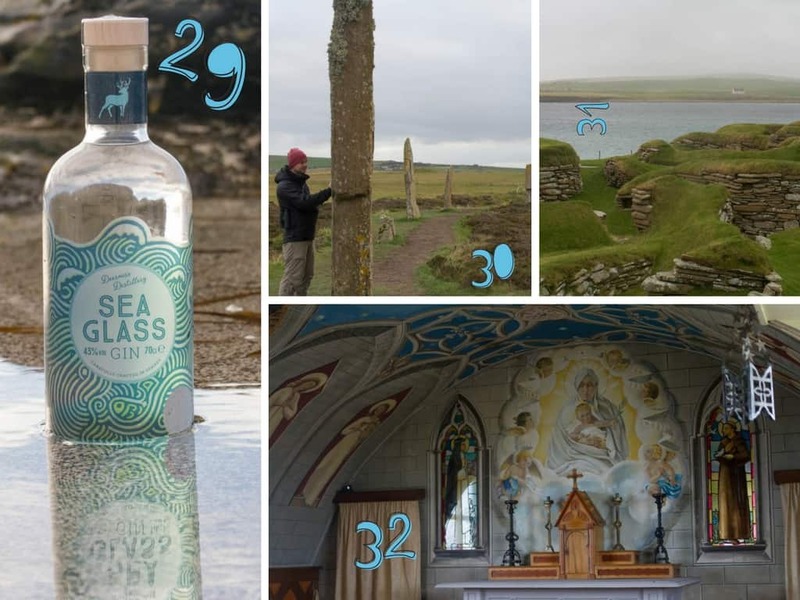 We visited our friends at the Orkney Gin Company & also the new kids on the block at Deerness Distillery. A proper food & drink delight. 30. Standing stones and stone circles have this air of mystery and comes with them, SO many questions. Ring of Brodgar, in Orkney was no different. What a place! 31. Skara Brae blew our minds! I mean, a neolithic village around 5000 years old. It lay undiscovered until 1850 when it was partially uncovered by a storm. Simply mind blowing. 32. The Italian Chapel was a mixed bag of emotions. So pretty and the detailed paintings on the ceilings told with the stories of prisoners of war is heartbreaking. A special place for reflection. 33. 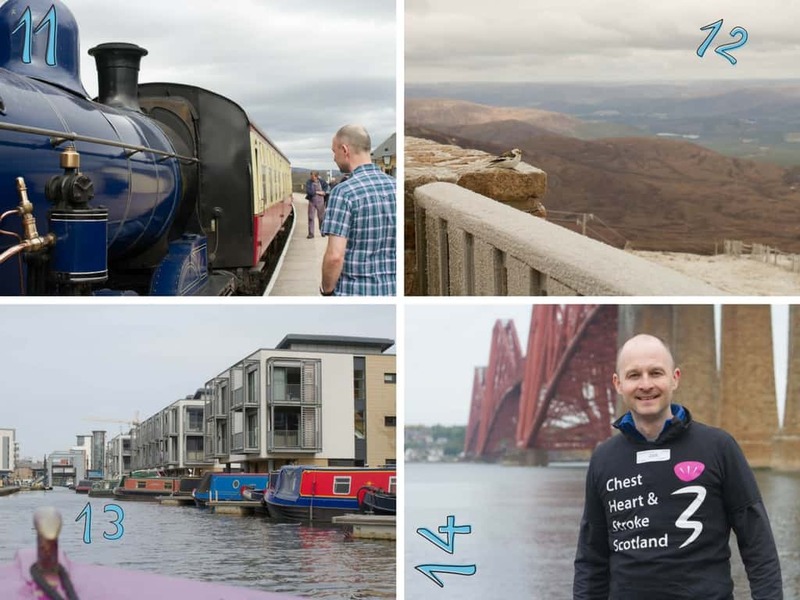 Another impromptu road trip found us following the BLiSSTrail through Perthshire & Stirlingshire. Such a brilliant way of exploring the area and discovering new places and creative artists. 34. Back in the Cairngorms for a couple of days of snow fun! Making it back on the list purely because it is a playground for winter sports and we wanted a snow fix. Simple. 35. Smoo Caves caught my attention when I was doing some homework for our North Coast 500 trip. Impressive acoustics and in size, I’m pleased we stopped. 36. We were invited by Bunk Campers to use one of their smaller camper vans to drive the North Coast 500 at the start of October. The weather wasn’t kind to us but we still loved it and Scotland is still beautiful even with grey skies, fine rain and wind. Our five days was nowhere near enough time either. So next time we will take our time and explore more. I fell in love with Sutherland. 37. The Great Tapestry of Scotland was at the Verdant works in Dundee earlier in the year. 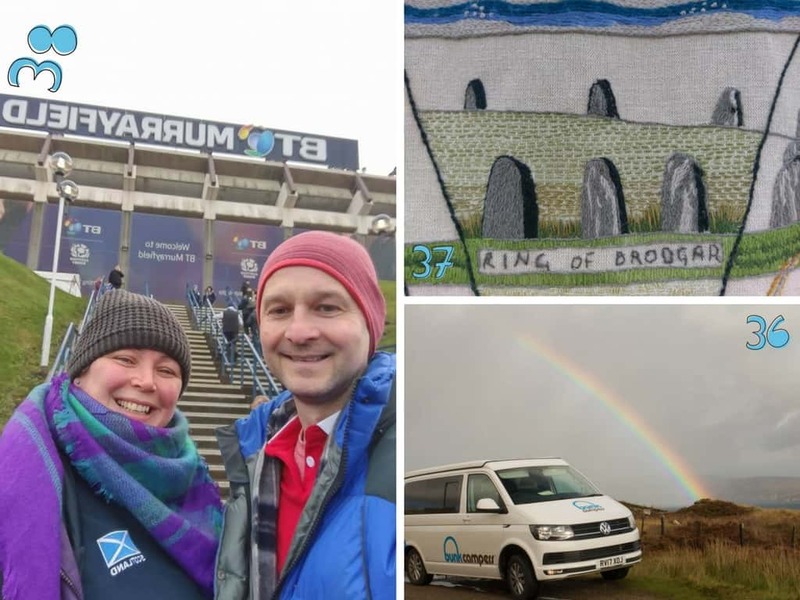 What a fabulous idea to tell Scotland’s history in 160 panels of tapestry. Some of the most incredible work I have ever seen. 420 million years of history told with over 300 miles of woolen yarn! Genius. 38. We got our first season tickets to watch Scotland play rugby at Murrayfield. Highlight for me watching my team play the All Blacks. Really fab atmosphere. 39. As part of our snow fix in the Cairngorms at the end of November we decided to go to the Reindeer Centre and do one of the daily tours up onto the hillside and meet some of their gorgeous creatures. What an experience, for adults and children alike to get get up close and hand feed something that most of us associate with Christmas and Santa. Loved it! 40. 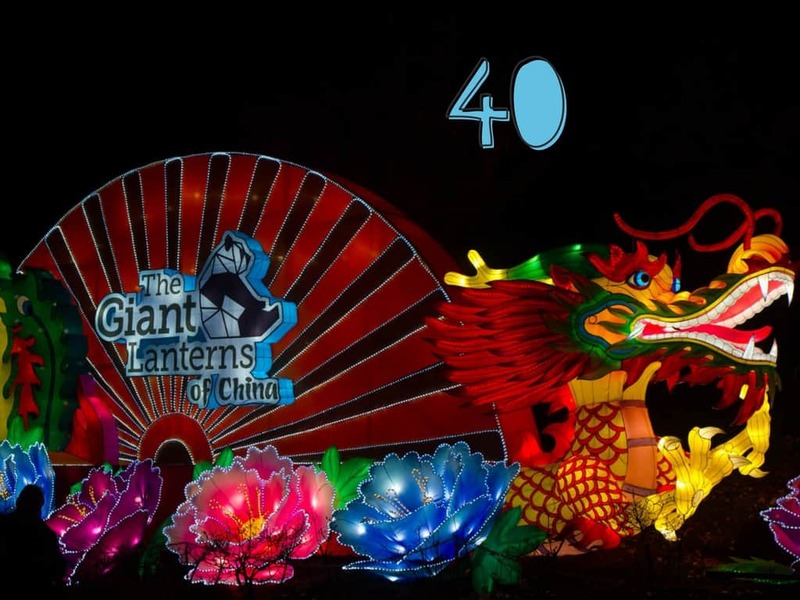 Number forty came in the shape of an invite from Edinburgh Zoo to experience their Giant Lanterns event. My camera and I adored the lanterns and I am hoping to go back for Chinese New Year. Great for all the family. So that’s it, 2017 DONE! I’m really pleased that we didn’t just opt for going out for a meal for our birthdays because that would have made a really lame “round up” post. 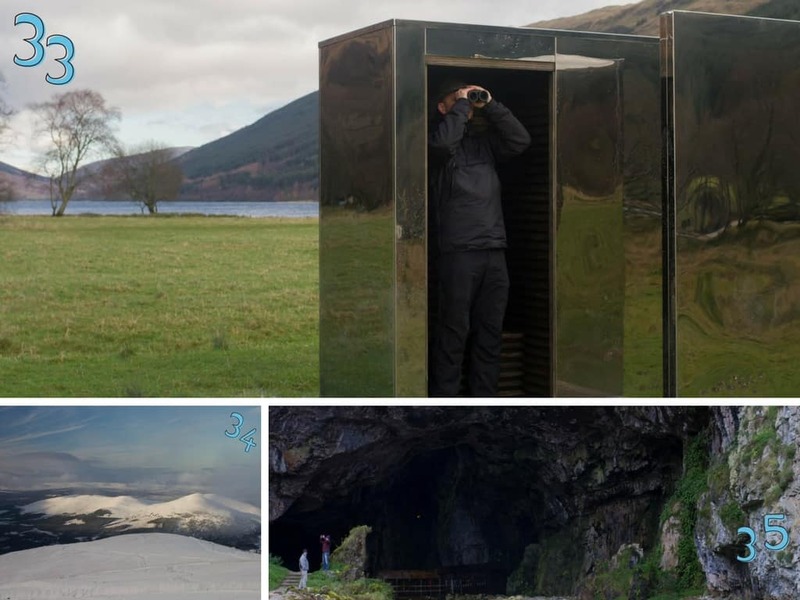 Our Forty Things at 40 list has opened our eyes to even more of what is on offer in Scotland – landscapes, castles, music, hospitality, food (all the food), events, cities, glens and so much more. Of course, this has only fuelled our passion for this place we now call home. One thing is for sure, 2018 has got it’s work cut out! I would like to thank all of you who take the time read my ramblings, follow social media posts, offer ideas and opportunities. We enjoy taking on the challenge and are grateful. Wishing you all love, happiness and dirty boots for 2018. Lovely post, made me so jealous though! I can’t wait until we can come up to Scotland for a prolonged period of time and tick some of these off ourselves. Skara Brae has always been on our list and I can’t wait to do our Bass Rock boat trip, hopefully around May time. Ahhh thank you. We have had a ball and yet there are still so many places on our list to visit. Aaaah, what a year you and the Dude have had Mel! For just a wee country, we really do have limitless opportunities for things to see/do/eat/experience. There’s definitely a items on your list that I’ll be adding to mine. 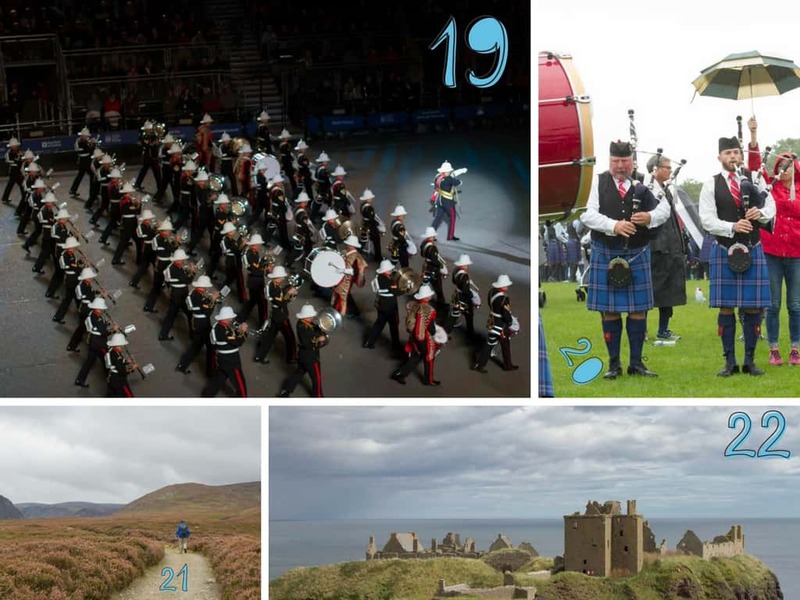 Here’s to another year of epic Scottish adventures!